Jimmy works as a mechanic and lives in an RV with his best friend Chata, a beautiful 4 year old Pit mix. On the night of Dec 4th while outside his RV, Jimmy was ambushed by a man demanding he move his RV. As Jimmy responded, the man first hit Jimmy in the head, then shot at him, hitting him in the hand as he raised it to protect himself. This is when Chata came running out of the RV, and the man also shot Chata in the face twice before fleeing the scene. Jimmy is convinced had Chata not come out when she did, the man would have kept firing at him. Chata saved Jimmy’s life, and now we want to help save Chata’s life. The bullets entered Chata’s mouth and exited through the jaw and the neck, leaving bullet fragments in the jaw. The bullet fragments need to be removed and her jaw needs to be repaired and the wounds closed so that Chata may both eat and drink. With surgery, Chata has an excellent chance at a full recovery. Without surgery, the vets recommend Chata be euthanized. We can not let that happen to such a hero. We need to help Chata recover, and Jimmy as well. PALS is all about helping pets and the people who love them – please help us help Jimmy and Chata. The current medical bills and estimates for surgery are over $5,000. We all need to come together for this beautiful girl and give as generously as we can to secure her surgery and any additional medical costs, and hopefully give Jimmy a little cushion to recover as well. We believe in our amazing PALS Community! Please make this happen. We will post updates often but we need initial funding to move forward. Friends, thank you for your past support of PALS and all we do for people and pets like Jimmy and Chata...as we come up on 2019, we hope you will consider making a donation so we can keep our free clinics free. As you may know, PALS serves as a lifeline for low and no income pet owners in Oakland and the East Bay. Every four weeks on a Sunday, rain or shine, PALS' all-volunteer crew provides free core vaccines, dewormer, flea medication, spay/neuter assistance & referrals and other preventive care to over 250 pets. For many of these pets and their families, PALS' free clinics are the only pet care they receive - and they wait in line for hours to make sure their pets are taken care of. PALS clinics are keeping pets healthy and in their homes - avoiding expensive and often un-affordable care which often causes pets to be surrendered to shelters. Please visit https://www.gofundme.com/manage/keep-free-clinics-free-in-2019 to learn more and help us spread the word this holiday season! And a note from Jimmy's sister Diane- "I would like to Thank you all From the bottom of my HEART !!!!! Jimmy and CHATA thank you and LOVE each and everyone of you for Donating ! Bless You All ! We all Thank You Soo there are really no Words to show how we are Feeling Right Now !" Chata on Friday after surgery- thankful! 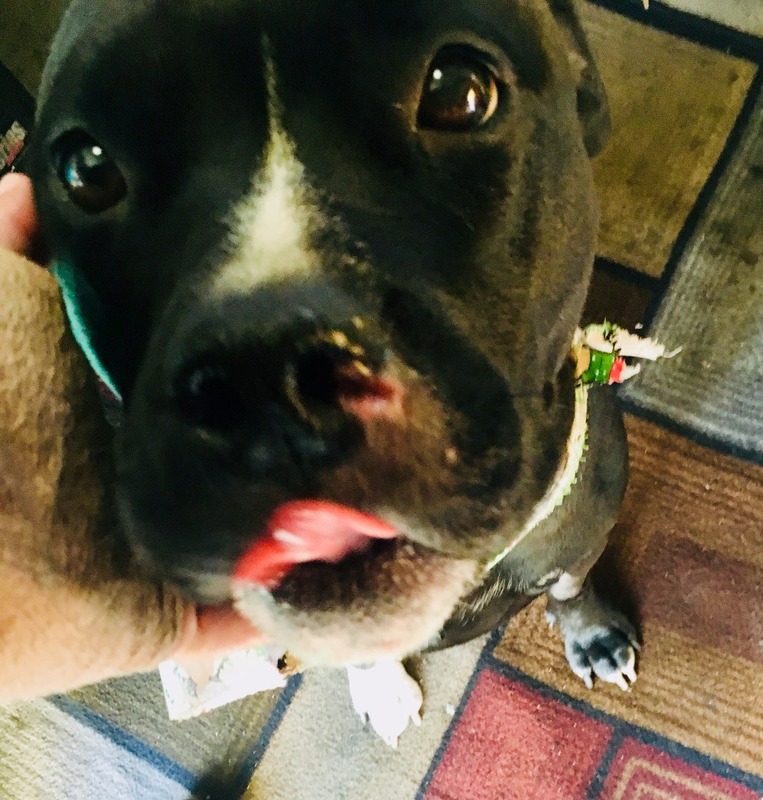 A heartfelt THANK YOU to everyone who has supported Chata and Jimmy through their horrible ordeal -- Thanks to all of you, we raised enough to cover Chata's surgery and she is now home with Jimmy recovering!! 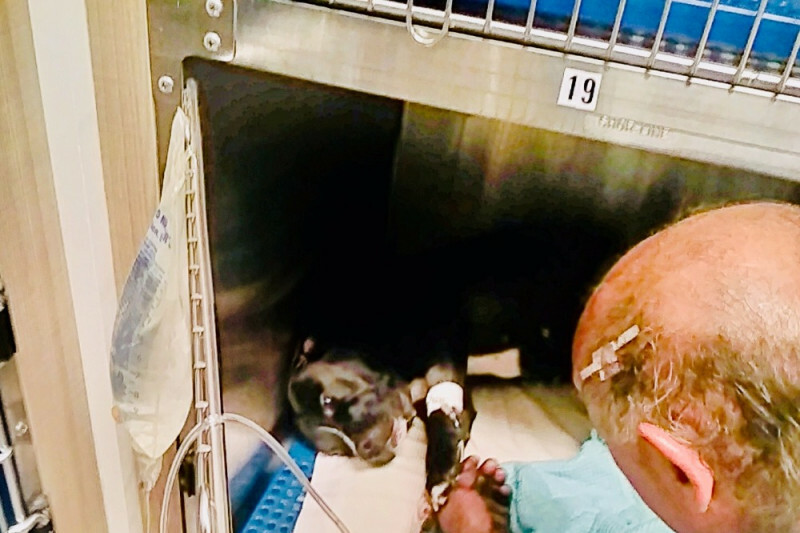 Additional funds will be provided to Jimmy to help with her follow up care, and to help Jimmy with his basic expenses...as a mechanic, he can't work as he still needs another surgery on his hand after being shot in the hand. PALS visited Chata and Jimmy yesterday, bringing wet food (Chata's jaw is healing so she needs soft food) and she was quick to give kisses! She is still nervous following the shooting. Here is a photo we took of Jimmy and Chata together. 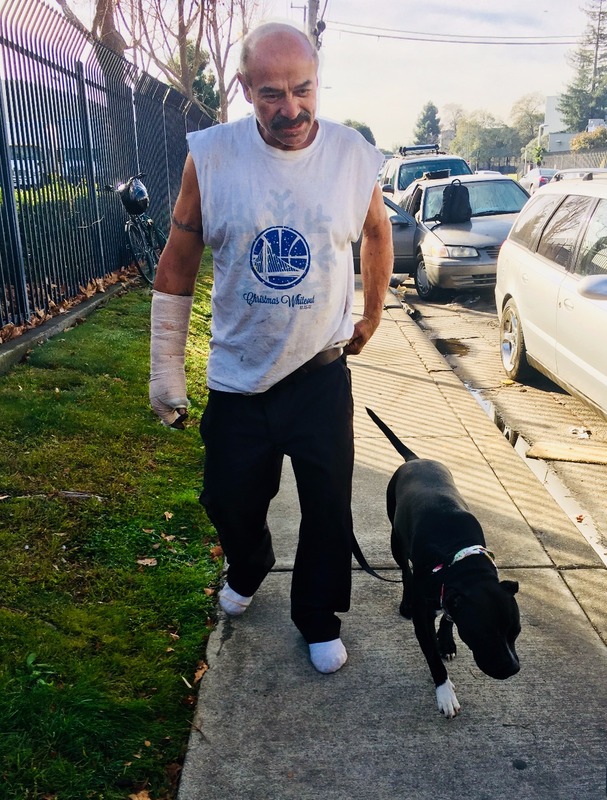 Thank you community for coming together to support this person and his beloved dog -- Chata the hero dog! 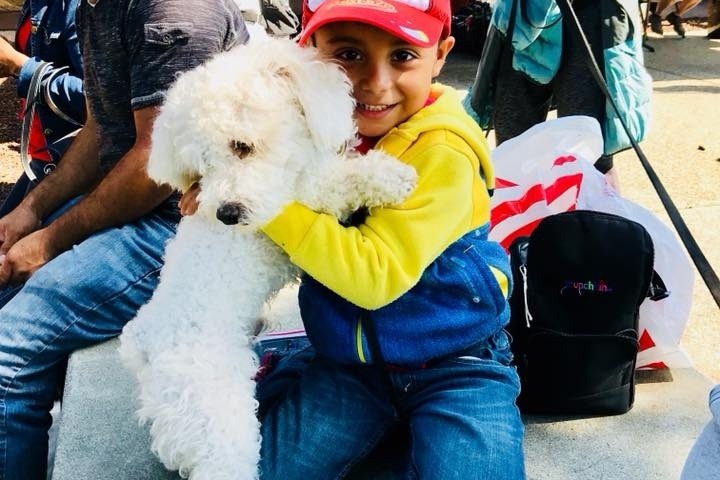 PALS is committed to helping pets and people in need - Jimmy's family reached out to PALS because Chata had received care previously at one of the monthly free vaccine clinics we hold for low income pet owners. To learn more about PALS, our free clinics and other programs, please visit our website at www.palseastbay.org. Thank you again for your support!